Keno is very similar to the lotto both in how you play keno and the massive prizes. In learning how to play keno, South African players will have to pick numbers, wait to see if they’re drawn, and hopefully, they win. Similar to the lotto, an online keno card has ten rows and eight columns of numbers to choose from – 80 numbers to be exact. There’s also an area on the keno where players adjust their bet size depending on their bankroll. The right-hand side of the keno board is where players will see the winnings numbers after a draw. 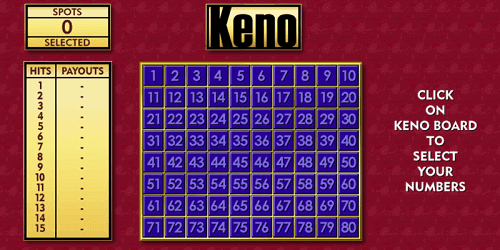 There are different types of keno cards available to players at their favourite casinos. So, there are many different types to expect when learning how to play keno. 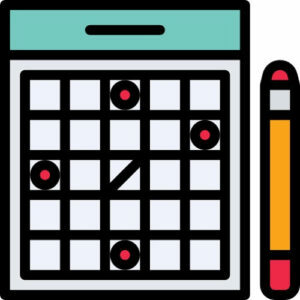 Keno is a simple and relaxing game without too many moving parts. The are four important steps to playing keno. Find a safe and reputable online casino to play online keno. We recommend going with our top five vetted casinos. Depending on the keno game you’re playing, you can pick any one to ten numbers. Some cards allow you to pick up to 20 numbers. Use your mouse to click on the numbers and mark your keno spots. The more numbers you pick, the more the ticket will cost. Next, click on either Play 1 or Play 5. This is to pick the number of rounds you want your chosen numbers to play; either one or five rounds. After choosing your numbers, set the amount of money you want to wager. The amount you win depends on the amount you bet. In other words, the more you bet; the more you win. Press play and wait for the draw to take place. When the numbers are drawn, 20 randomly generated numbered balls come out of a tube above the keno playing board. They land in the equivalent spots on your keno card. If they land on your keno spots it’s called a catch, and you’ll be paid out for any matches. You must have a minimum amount of matching numbers in order to get a payout. In this section of our how to play keno guide, we’ll be looking at keno playing strategies. Tip 1: If you’re a keno beginner, pick a set of numbers and play them frequently. This helps you see which numbers come up more than others. As a result, you can change your numbers to suit the outcome. If you’re a superstitious player, there are some numbers that are luck in keno. Tip 2: Play at a casino that has exclusive keno bonuses. Tip 3: Keep an eye out for the keno payout chart. It helps you know what you need to do to win. Tip 4: Likewise, be on the lookout for the bonus. Also known as the bull’s eye, booster, and king, this is the one number that brings the high winnings. A keno bonus play is more expensive than the other numbers. It ranges from two times the winning up to 20 times the winning. Tip 5: Online keno is a game of luck. Set your bankroll limit and don’t chase your losses. You’ll just end up losing more money. Players must pick ten numbers from one to 80 with the hope of matching winning numbers. They place a bet on a draw or round on the numbers they’ve picked. How many keno draws are in a day? There are keno draws about every four minutes depending on the casino. Yes, keno tickets do expire. It can take between 30 days to 12 months before it expires. However, this depends on the online casino. How many numbers do you need to win on keno? If a player bets R1 on only one number, matching that number will get them R3. If they pick five numbers, they’ll get R50. Ten numbers will award them with R1 800, and 15 numbers will get them a R10 000 prize. What keno numbers come up the most? The most drawn numbers in keno are: 1, 4, 23, 34, and 72. Also, other frequently drawn numbers are: 3, 16, 44, 58, and 78. What are the luckiest numbers in keno? The luckiest numbers in keno are 2, 6, 8, and 9. Any numbers that have these digits in them are considered lucky with 8 being the luckiest number. This superstition comes from Chinese culture as the game of keno has its origins in China.